For one month I volunteered at the volunteer comedy group called Mitaka-shi Edo Kobanashi in Tokyo, Japan. Volunteers would travel all over the town of Mitaka-shi and perform a traditional storytelling style called Edo kobanashi to both children and adults alike. This involves one person taking on various roles throughout the story by emulating different voices and acting out their lines, ultimately ending the story with a humorous plot twist or clever pun. Volunteers generally select their favorite kobanashi (there are over 1,000 of them! ), and memorize it verbatim to perform for the audience. It requires extremely expressive acting, voice modulation, and a great sense of comedic timing to transform the written dialogue into a captivating performance. We also interact with our audience by reading kobanashi together, and some call-and-response activities. By volunteering, I had the wonderful opportunity to closely interact with the locals of Tokyo in a way that simply studying abroad would not have enabled me to accomplish. 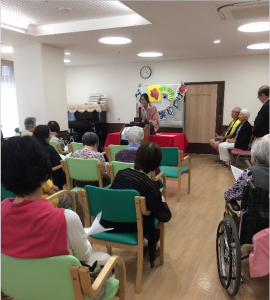 From small schoolchildren to the elderly, I was able to converse with locals and slowly learn more about what life is like in Japan—for example, most of our volunteering sites were nursing homes, thus reflecting Japan’s rapidly aging population. After performances, our group would often grab a meal together, learning more about each other and exploring more of Tokyo. I especially became close with my peers in my volunteering group, often discussing experiences in America and Japan and the role of kobanashi in contemporary Japanese society for the research on kobanashi’s history and structure that I was conducting at the same time. 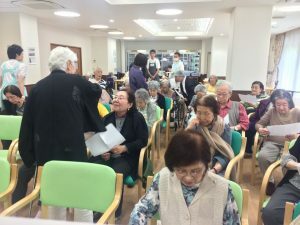 Their motivations for performing kobanashi were varied, but the most common reason why people join this volunteering group is to spread laughter through their community, a motivation I found to be deeply inspiring. It was also interesting to be in a completely Japanese environment instead of spending my time at the international university where I studied abroad in the fall. In addition to not being able to fall back to English when I couldn’t remember a Japanese word, the cultural barrier and generation gap also served as challenging obstacles in communicating myself clearly. I found it to be more exciting than daunting, however, and I threw myself into the volunteering group with great enthusiasm. Overall, my peer volunteers, our audience, and the inspiring group leader who invited me into this group are all amazing people who greatly influenced the way I view Japanese culture now, as well as the almost-magical power of laughter through kobanashi. I greatly appreciate this opportunity given to me by the CCE offices, and I would not hesitate to do it again. This entry was posted in Midd Blogosphere and tagged Uncategorized on February 22, 2018 by Naing Thant Phyo. My name is Chaeree, and I am a junior political science major and a prospective law school applicant. 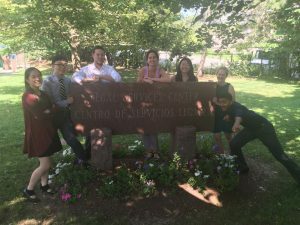 This summer, I interned at the Legal Services Center (LSC) of Harvard Law School, the school’s largest clinical placement, which provides direct legal services to hundreds of low-and-moderate income residents in the Greater Boston area each year. The clinic that I mainly assisted, The Safety Net Project, plays a vital community role by providing legal assistance to clients contesting the denial of Social Security benefits. Over 70% of applicants of Social Security are estimated to be legally unrepresented, and those clients without representation are denied benefits over 75% of the time. Without legal representation, many truly disabled individuals cannot provide evidence of their eligibility for the very benefits intended to assist them. By providing legal assistance to help this population at Boston community, The Safety Net Project is actively addressing an enormous unmet legal need and contributing to stabilization of the individual and their families, preventing a deeper slide into poverty. My main responsibilities at the LSC were to assist clinical professors, legal fellows, and law students in representing low-income clients in issues related to Social Security. I conducted client intakes by interviewing potential clients, directed them to professional instructors for further counseling, and drafted client correspondence. I also performed legal research to assist legal professionals, and I was given opportunities to be actually engaged in investigation, formal fact-discovery, and legal strategy formulation procedures. Every client The Safety Net Project represent had serious health issues, and I was given frequent opportunities to interact with medical providers and medical experts and work on cases related to disability rights, disability access, and mental health. Through this experience, I learned the impact of law and social policy on the lives of clients from marginalized backgrounds, explored the ways the court system and administrative bureaucracies work, and interacted with legal professionals who deliver a positive and stable influence in community. I am truly glad that my time at the LSC has helped me to build upon my understanding of public interest law, litigation process, and clinical services for the underrepresented community, which I have always been passionate about and envisioned as my future career. This entry was posted in Midd Blogosphere and tagged Uncategorized on February 15, 2018 by Naing Thant Phyo. Sustainable development – economic development that is conducted without the depletion of natural resources – has been a topic that has become popular in the recent years. With the launch of the Sustainable Development Goals (SDG) in 2015, some countries have taken the initiative to include the promotion of sustainable development in their agendas. And Argentina is one of the countries that has taken the lead within Latin America in terms of human development. 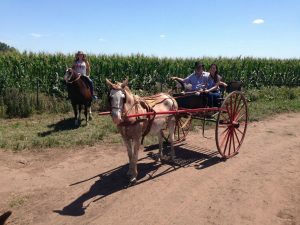 This Winter Term, I had the opportunity to work with the project “Sustainable Development Practices in Argentina,” where I had the opportunity to work and learn from the San Esteban Farm. It was the opportunity for me to study how it is possible to run a business that incorporates sustainability practices in their daily life work. 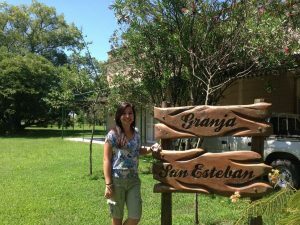 This farm’s work has also been seen as an example for other kind of ecotourism, “Turismo de estancia,” where the visitors have the chance to stay at a place that runs under sustainability practices and feel connected with the environment surrounding them. Visitors end up having a different experience than just staying at a hotel or a hostel. The farm receives visitors who are mainly interested in perpetuating the idea of sustainability, and therefore learn about how to do it while enjoying their stay at this farm. The farm is currently trying to increase their target audience to young travelers and people who are not that aware of sustainable practices to therefore serve as a window of knowledge and advocates of sustainability. I assisted with the day-to-day activities at the farm, such as checking the crops and animals, the watering and solar electricity systems, and being the bilingual person to talk to when needed. My previous work in Costa Rica and Guatemala with sustainable development practices was highly valuable to contribute to this experience. I felt I was able to contribute and learn at the fullest with this experience, as I was familiar with the practice’s background and the farm’s sustainability goals. I want to give special thanks to the Middlebury College Center for Community Engagement for supporting my project and for made me a recipient of the Cross-Cultural Community Service Grant. This entry was posted in Midd Blogosphere and tagged Uncategorized on February 1, 2018 by Naing Thant Phyo. This past summer, I was part of the Middlebury summer program Ambassador Corps. 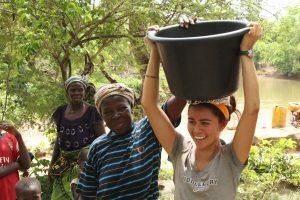 Through Ambassador Corps, I interned as a Fundraising Researcher for Cocoa360, a small social enterprise based in Tarwka Breman, Ghana. 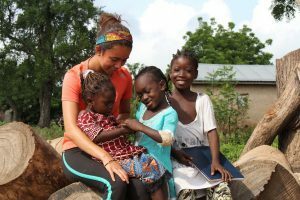 Before starting the summer, I had two main objectives: learning more about Ghanaian culture and assisting the organization I was working for in the best way I could. Most days, I would walk to my office, and after a beautiful hike in the jungle of Western Ghana, I would start doing online research for grants that suit my organization. Other days, I would work on communication letters with various possible donors, and with the assistance of my supervisor, I would refine every draft. My favorite part of my days was when I would spend more time with my neighbors and other people in the village. 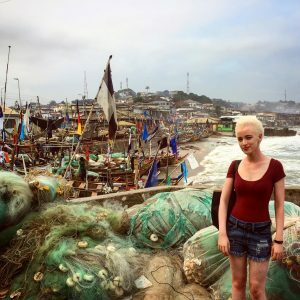 I found interesting learning about their experiences and about Ghanaian traditions. As a result, this internship was not only useful from a career development perspective but also from a cultural one. Meron’s project is supported in part by funding from Center for Community Engagement at Middlebury College. This entry was posted in Midd Blogosphere and tagged Uncategorized on January 25, 2018 by Naing Thant Phyo. 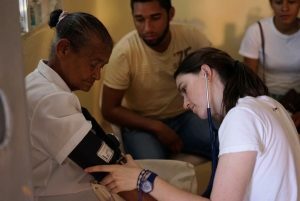 For three weeks, I stayed in a dormitory on the Meeting God in Missions’ compound about half a mile outside of Hato Mayor del Rey, the capital of the Hato Mayor Province in eastern Dominican Republic. Surrounding us for 100 miles in every direction was a sea of sugarcane—sugar that once cut, processed and packaged would end up on shelves in the United States. Turning off of the main government paved roads onto dirt paths that led us deeper into the fields, we came across villages known as bateyes that almost exclusively were Haitian. The men in these Haitian families would work up to twelve hours manually cutting sugarcane with machetes earning 5-10 USD a day—barely enough for one meal for a family. Lacking documentation and money, most batey residents lacked access to any form of healthcare. 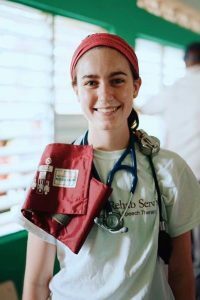 While in the Dominican, I traveled to a different batey each day with a team of local translators, American and Dominican doctors, nurses and other volunteers to provide basic medical care. Using my experience as an Emergency Medical Technician, I triaged patients based on their vitals, symptoms and medical history. Working with limited time, medications, and equipment in less than ideal circumstances gave me a new level of appreciation for the complexity of global health issues. It also frustrated me. Science and technology are pushing modern medicine forward at a faster rate than ever before and yet entire villages suffer from unmanaged hypertension and diabetes—diseases that can be easily controlled. Barriers from access to medications to cultural differences prevent improved care for these patients, yet improved living and working conditions alone would rectify most of the situation. Despite my desire to separate myself from hardships faced in the Dominican Republic, I came face to face with America’s role during my research. After significant pressure from NGOs and advocacy groups, the US Labor Department recognized in 2013 that the conditions in the bateyes violated the free trade agreement between our countries and committed $10 million dollars over the next four years to improve the worker’s lives. Four years later and the bateyes look the same. 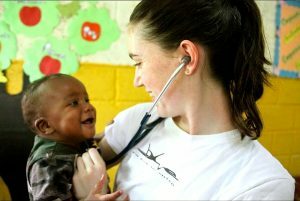 I found myself questioning what role I as an American citizen, as a consumer of Dominican sugar, and as a healthcare provider play in enabling the continued exploitation of sugarcane workers. I am still asking myself the same questions and most likely will be for a while as I continue to reflect upon my experience. This project is supported by funding from a Middlebury College Community Engagement Cross Cultural Community Service Grant. This entry was posted in Midd Blogosphere and tagged Uncategorized on January 18, 2018 by Naing Thant Phyo. Thanks to the CCCS Grant, I was able to work with Saha Global this summer to bring clean water to the rural village of Gbunja in northern Ghana! It was an amazing experience to train community women to use local and sustainable technology to treat their water. We used chemicals and supplies found in markets to clear and clean their water to make it safe for drinking. They now sell it to their community for an affordable price and use their profits to continue treating water for many years to come. My goals were to build upon my experiences from Saha last year and really delve into my work and the culture. Without the culture shock I experienced last year, I felt like I was really on top of everything I did this year. I learned a great deal about how to interact in a similar setting with very different people, and lead my group in a way that was collaborative and effective. This trip I was really able to focus on the nuances of the culture around me and the different power dynamics that existed. As an anthropology minor who took an African anthropology class this past year, it was really cool to use my new analytical lenses in real life. I was also able to use the critical thinking skills I’ve gained at Middlebury through group projects to solve problems. This entry was posted in Midd Blogosphere and tagged Uncategorized on January 11, 2018 by Naing Thant Phyo. 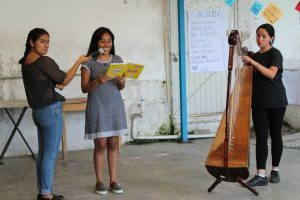 This summer, I collaborated with Colectivo Akelarre, a feminist collective, and local artists to organize an arts and feminism camp called Antiprincesas for girls 14-19 years old in Xalapa, Veracruz, Mexico. I studied abroad in Xalapa my spring semester, and thanks to funding from Midd’s Center for Careers and Internships, I was able to stay the summer and work with this collective. From July 18th-22nd, 22 girls participated in this week-long camp of discussion, reflection, art, and community-building. I opened each day with a warm-up, meditation, and interactive activities to cover the theme of the program How do we learn gender, Body, Representation, and Social Problems. In the afternoons, there were workshops from local artists (Voice/Body/Improvisation, Theater of the Oppressed, Film and Intersectionality through Drag Culture, etc.) and guest speakers (a sexologist, the director of the Institute of Women of Xalapa, a feminist human rights lawyer). We also included free time for the girls to read, collage, make zines, and hang out with each other. The final day, the group self-organized a final presentation for friends and family. In Abril’s theater workshop, the girls improvised scenes from the perspective of gender. In Jimena’s workshop, the girls talked about self-care (auto-cuidado), self-defense, and self-esteem and worked in breakout groups to present on their topic. Fatima (on the harp) and Juana Itzel (reciting her feminist “decimas”, or poems) practicing for the final presentation the group self-organized and directed. From the beginning, we had five principal intentions for this project. Definition of Feminism. Rather than impose our own ideologies, we wanted to create a space for the girls to share their experiences to reflect and learn from each other–to draw from the collective wisdom in the room. Collaboration and Diversity. The team of organizers and artists that worked on this project hold different political views and facilitation styles. The girls as well were a group of different ages, interests, and cultural backgrounds. This diversity and acceptance of difference allowed for deeper understanding. Corporal Understanding. We wanted to place importance on the body and on emotions as ways of connection and understanding. Art as Fundamental to Social Change. We believe art allows us to question our surroundings, gives us a voice to express ourselves, and invites collaboration and co-creation. Community Building. More than anything, we wanted to create an intentional community of acceptance of difference, of care, and of love. When I proposed the camp to the collective, I had a vision for the project based on the above intentions and my experience with JusTalks, MiddSafe, Raisins (Radical Asians), Stairs n Stares (performance dance installation on sexual assault), and various dance projects at Middlebury. These experiences at Midd gave me practice building spaces of open and honest dialogue, self and communal reflection on power, privilege, and identity, and of using art as a form of social change. But what makes this camp special was that it was a collaborative project. 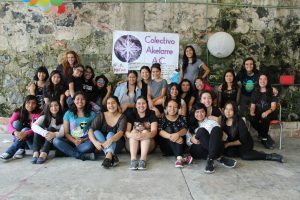 The distinct artistic/feminist backgrounds of the local artists and women of Colectivo Akelarre allowed us to share our knowledge and co-create this project. 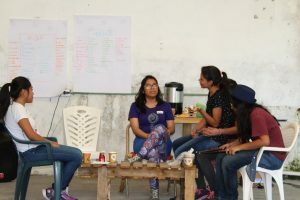 This means that even after I left, the structure and vision of the camp remained, as well as the personal connections formed among the organizers and the first generation of antiprincesas. I look forward to hearing about future iterations of this camp, even if I will not be able to be part of the planning process. It was an honor and a joy to grow with and from my fellow collaborators and the group of girls. From this project, I realized the importance of care and open and honest communication during the process of creation. I learned that spaces of play allow for greater trust, vulnerability, and togetherness. This project also reaffirmed my belief in the power of empathic listening to open spaces of connection and of acceptance of multiple truths. And finally, witnessing the transformation of the girls from timid individuals to a united, loving, and empowered group of young women re-ignited a hope, an energy, and a revolutionary spirit in me sometimes stifled in the world of academia. The first generation of anti-princesas. I want to thank Community Engagement and the Cross Cultural Community Service Fund that made this project possible. 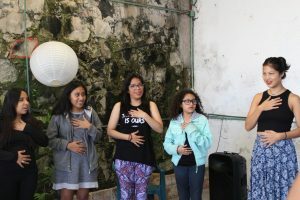 The funding not only allowed for the girls to participate for free, it also paid for transportation and meals for three girls who came from outside Xalapa (their housing was taken care of by Colectivo Akelarre). You can follow Colectivo Akelarre on Facebook. This entry was posted in Midd Blogosphere and tagged Uncategorized on December 8, 2017 by Naing Thant Phyo.